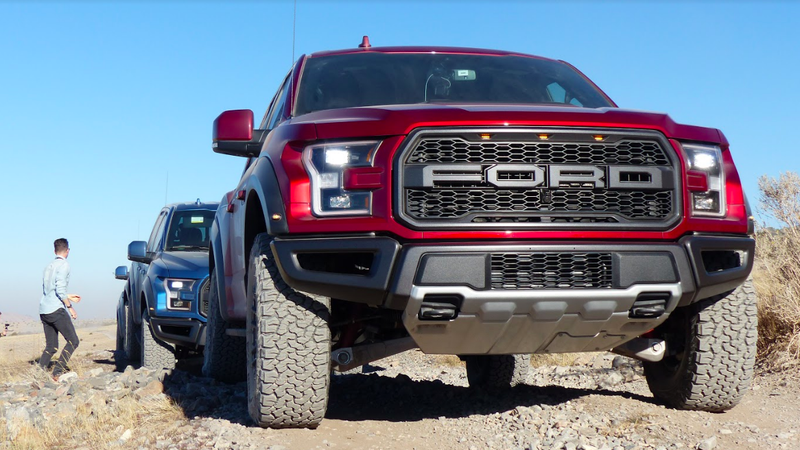 Detroit is overflowing with big fast off-road truck rumors right now, as Ram is planning a Rebel TRX which will supposedly make use of the Hellcat supercharged Hemi, and it would seem that Ford is fighting back with its own supercharged V8 hopped up version of the Raptor. According to Car and Driver’s sources within Ford, the Raptor’s Ecoboost V6 will be replaced by a 700-horsepower 5.2-liter forced induction V8 cribbed from the upcoming Mustang GT500. That sounds exciting. It’s likely that the current generation F-150 pickup will be replaced sometime in the next two years. The current thirteenth generation of the F-series has been around since 2015, which is getting a bit long-lived for a modern pickup chassis. It’s getting about time to launch those All New For 2021 commercials. The rumors contend that this supercharged V8 über Raptor would be the ultimate sendoff for the current F-series. The 10-speed automatic currently in the Raptor should still be able to hold up to the big V8's grunt, as it was jointly developed with GM and Chevrolet uses it in the high-powered Camaro ZL1. Car and Driver posit that the big V8 monster will command a $15,000 premium over the current Raptor’s $54,450 MSRP. If it’s any kind of limited-production model, it’ll surely have dealer markups well beyond that number. If you’re of the opinion that the current Raptor sounds too wimpy, this might be your opportunity to get something with a bit more GRAWP!